...[I]n his Third Eclectic Reader, William Holmes McGuffey, a nineteenth-century educator, had eight-year-olds reading Wordsworth and Whittier. His nine-year-olds read the prose of Addison, Dr. Johnson, and Hawthorne and the poetry of Shakespeare, Milton, Byron, Southey, and Bryant. His ten-year-olds studied the prose of Sir Walter Scott, Dickens, Sterne, Hazlitt, and Macaulay and the poetry of Pope, Longfellow, Shakespeare, and Milton. McGuffey adapted to American conditions some of the educational techniques that were first developed by the Greeks. In fifth-century BC Athens, the language of Homer and a handful of other poets formed the core of primary education. With the emergence of Rome, Latin became the principal language of Western culture and for centuries lay at the heart of primary- and grammar-school education. 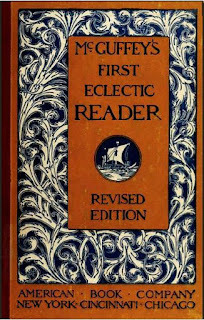 McGuffey had himself received a classical education, but conscious that nineteenth-century America was a post-Latin culture, he revised the content of the old learning even as he preserved its underlying technique of using language as an instrument of cultural initiation and individual self-development. 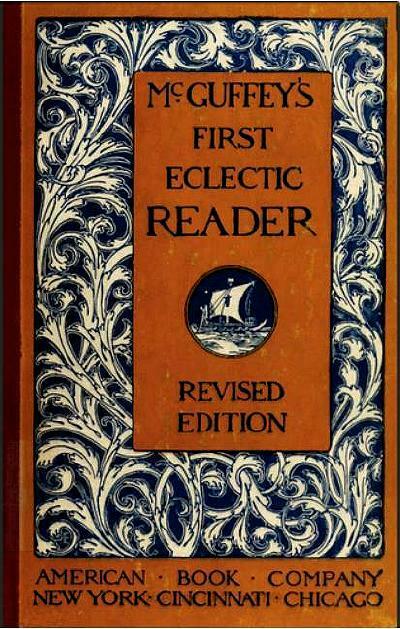 He incorporated, in his Readers, not canonical Latin texts but classic specimens of English prose and poetry. Because the words of the Readers bit deep—deeper than the words in today’s social studies textbooks do—they awakened individual potential. The writer Hamlin Garland acknowledged his “deep obligation” to McGuffey “for the dignity and literary grace of his selections. From the pages of his readers I learned to know and love the poems of Scott, Byron, Southey, and Wordsworth and a long line of the English masters. I got my first taste of Shakespeare from the selected scenes which I read in these books.” Not all, but some children will come away from a course in the old learning stirred to the depths by the language of Blake or Emerson. But no student can feel, after making his way through the groupthink wastelands of a social studies textbook, that he has traveled with Keats in the realms of gold. He's totally correct about the sterile and boring Social Studies textbooks out there today compared to McGuffey's readers of the 19th century. I have a bunch of reprints of McGuffey's readers to show my students and they're simply amazed at what was considered standard fare back then for Americans half their age.